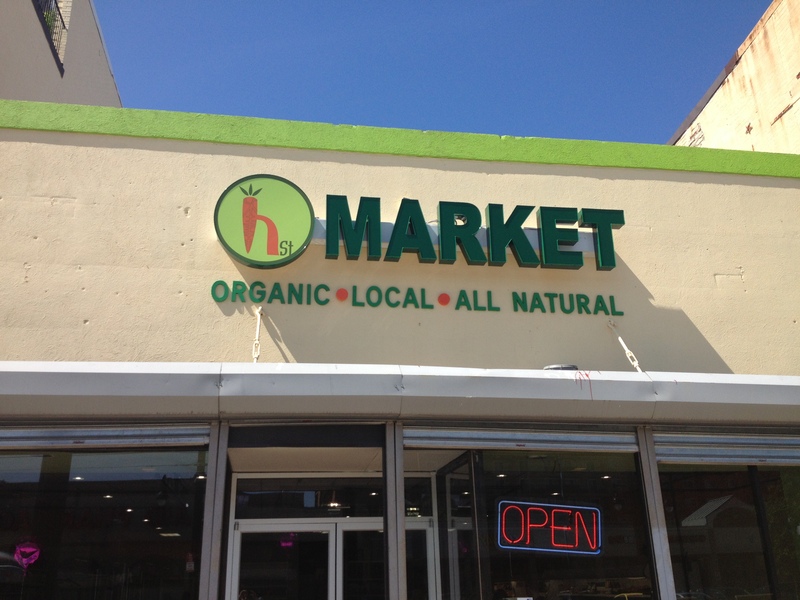 H Street Organic Market (806 H Street, NE) opened this month in the space that was formerly Z Mart. The interior of the building has undergone an extensive renovation, and the new space inside is very clean. There are several aisles of products–the vast majority packaged goods. There is no meat or fish, but there is a produce section towards the righthand side of the store. The produce looks fresh (far fresher than the produce at the new H Street Giant, which, sadly, isn’t saying much), but the selection is somewhat limited. There are also dairy products near the produce. It appears that while the store is open that it is still a work in progress as the back left part of the store looks incomplete. Hopefully when they complete the store they will add some additional produce. While it might not be perfect yet, H Street Organic Market is definitely a welcome addition to the neighborhood, especially in light of the eastern end of H Street losing out on Yes! Organic Market a few months ago. It is especially welcome in the middle stretch of H Street which is desperately lacking development to date (although much is planned). As someone who lives just a block away – this is a welcome development. It’s super convenient to be able to run into this market for a last-minute condiment or ingredient for dinner instead of having to run all the way to Giant. So glad they opened! Awesome. The more organic options the better. Best of luck with the store!